Sencha tea from Japan, from a health perspective, Sencha can the “king” of Green Tea. The darker the tea leaves, the better the quality. The Japanese Green Tea, Sencha (煎茶) is by far the most cultivated (ca. 78%) and drunk Green Tea in Japan. At the same time it is the most famous and most widely used in the West. In Japanese “Sen”, refers to the art of “pouring” with hot water and “Cha” means tea. Sencha can be found in very different qualities and price levels, from low up to the absolute top best, which can be measured with all other green tea varieties, including Japan best Gyokuro. The darker the green and the finer the leaves, the higher the quality of Sencha. 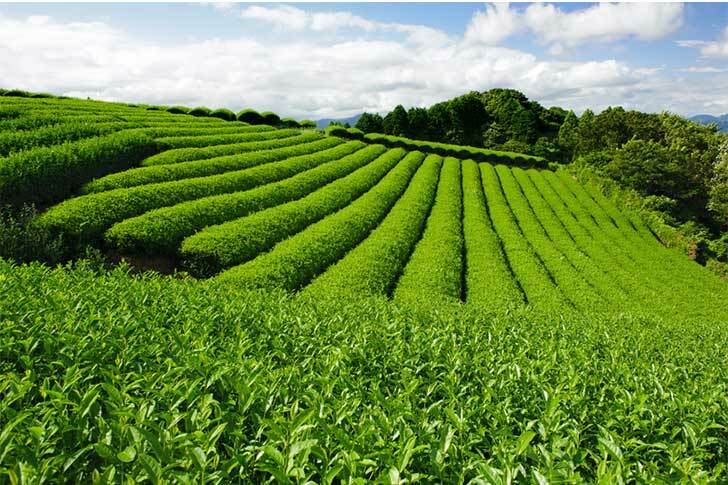 Sencha, unlike the other top tea varieties such as Gyokuro and Tencha (matcha), is not shaded, but is fully exposed to the sun in the tea fields. The young and middle shoots are harvested usually by machine and processed quickly after harvest. As opposed to the Chinese method for producing Green Tea, the Japanese gently steam the tea leaves instead of roasting. Through this process, the fermentation of the tea leaves is stopped and therefore the tea stays green. 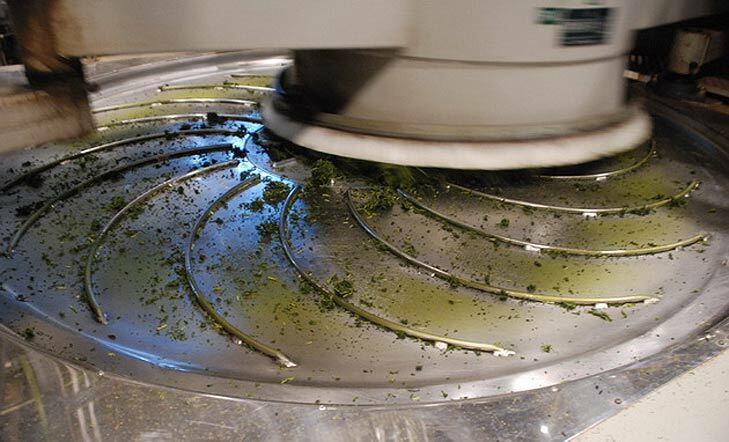 With Sencha the steaming takes about 10 to 30 seconds after which the sheets are dried with hot air, shaken and finally rolled across multiple intensity levels into small flat green needles. Sencha comes from various harvests or plucking and accordingly has a different combination of ingredients. For health purposes it is recommendable to take Tea originating from either the first or second harvest. If possible, they should be drunk alternately. The predecessor of today’s Senchas was created in 1738 by Nagatani Soen from Uji (the so-called Uji method) (see History of Green Tea in Japan). Nagatani Soen discovered the rolling method of the tea leaves. By rolling the tea leaves the cell walls are broken which allows the ingredients to better draw in the kettle. The taste of Sencha varies greatly depending on where it was produced and the quality of the tea. It can range from slightly tart and bitter to fresh, fragrant, grassy and slightly sweet. For naturopathic perspective Sencha is often referred to as the “King” of all Green Teas. Other Green Tea’s also contain many positive health benefits but in Sencha these properties can be found in the highest levels and with the most balance. As a tool in promoting health, through its nutrients and with its capacity to help support treatment against numerous diseases, Sencha is the heart of the Green Tea. Due to its exposure to strong sunlight Sencha develops a particularly high content of bitter substances and in particular catechins. The catechins, especially EGCG, were studied in numerous scientific studies and many positive health effects can be attributed to them. Compared to Gyokuro and Matcha, while Sencha has significantly fewer amino acid, in particular L-theanine – it still contains a relatively large amount. L-theanine allows for a significantly greater tolerability of caffeine in Green Tea compared to coffee and black tea. In addition, high-quality green tea contains many vitamins in considerable amounts as well as numerous minerals and especially trace elements. When preparing Sencha there is basically no difference as to when preparing any other Green Tea varieties. It is in this respect, and even with best quality Sencha, far more robust than its “brother and Sister” Gyokuro and Tencha. For its preparation are from a health perspective, the same rules apply as outlined in the detailed article on Green Tea preparation: 2 minutes steeping time at 55-60 degrees Celsius (depending on quality). Tea prepared outside these guidelines would not achieve the best results in the combination of the active ingredients of the tea. As stated above, the same rules here applies in the general preparation of the Green Tea: It should have exactly only 2 minutes steeping time. It is worth noting that a steeping time of more than 2 minutes allows for the majority of the tannins to be absorbed into the water. These polyphenols possess an undesirable interaction with other valuable ingredients and affect the positive effects of green tea on health. Refer to the article on Green Tea steeping time. Many research studies have shown that Green Tea promotes weight loss, improves the metabolic rate, boosts fat metabolism and influences various enzymes. While this applies in principle to all Green Tea varieties, the greatest impact can be seen with Sencha. More information on how to lose weight with Green Tea can be found here. For caffeine sensitive people Sencha is probably difficult to enjoy as the top strains have almost as much caffeine as the frontrunner Gyokuro and about as much as Tencha. Comparisons can be found in the article caffeine in milligrams. It must not be forgotten though that the caffeine found present in Green Tea is bound by other means and therefore interacts differently with the other ingredients as is in the case with coffee or black tea. The formerly called “Ton” is in green tea is a very healthy ingredient, provided that it’s not drunk every day in excess. Find out more in the article Green tea and Caffeine. It should also be warned that not all tea packaged as “Japanese Sencha” comes from Japan. There are a number of companies abroad that produce Sencha in the “Japanese method” such as in China and India. This tea is then called “Japanese Sencha”.